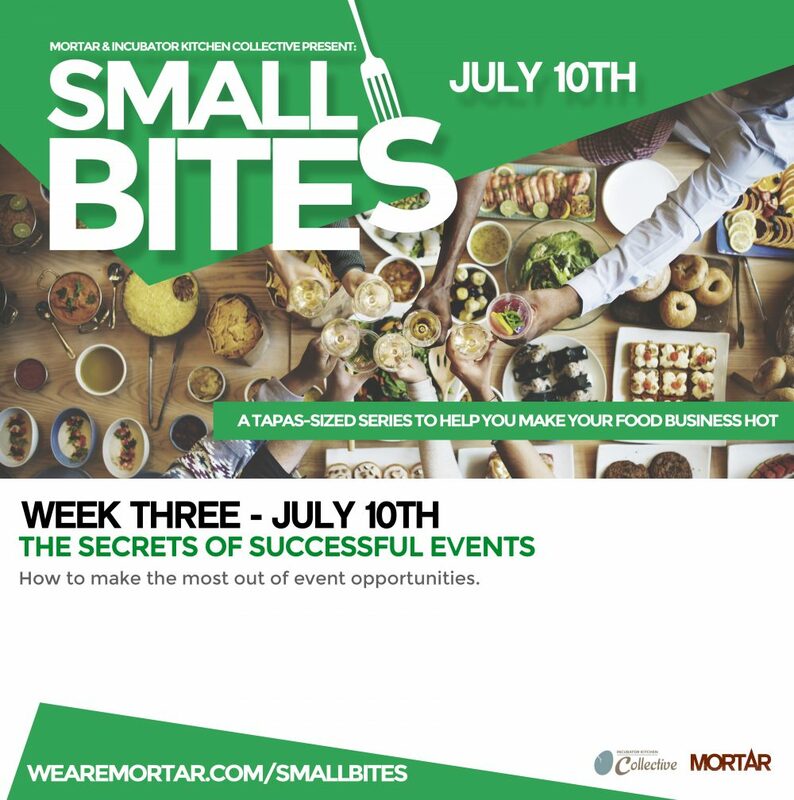 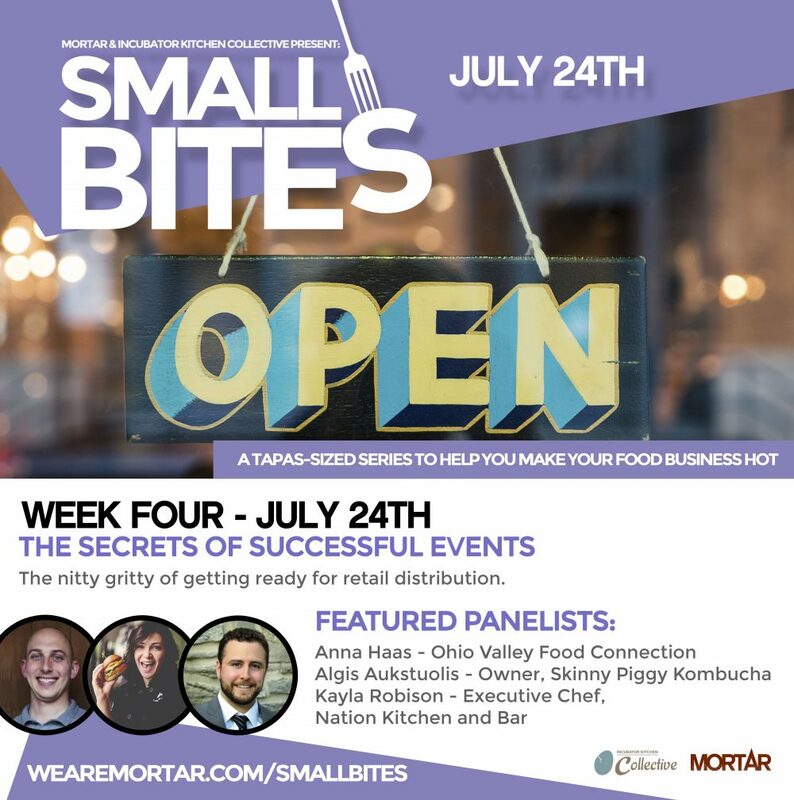 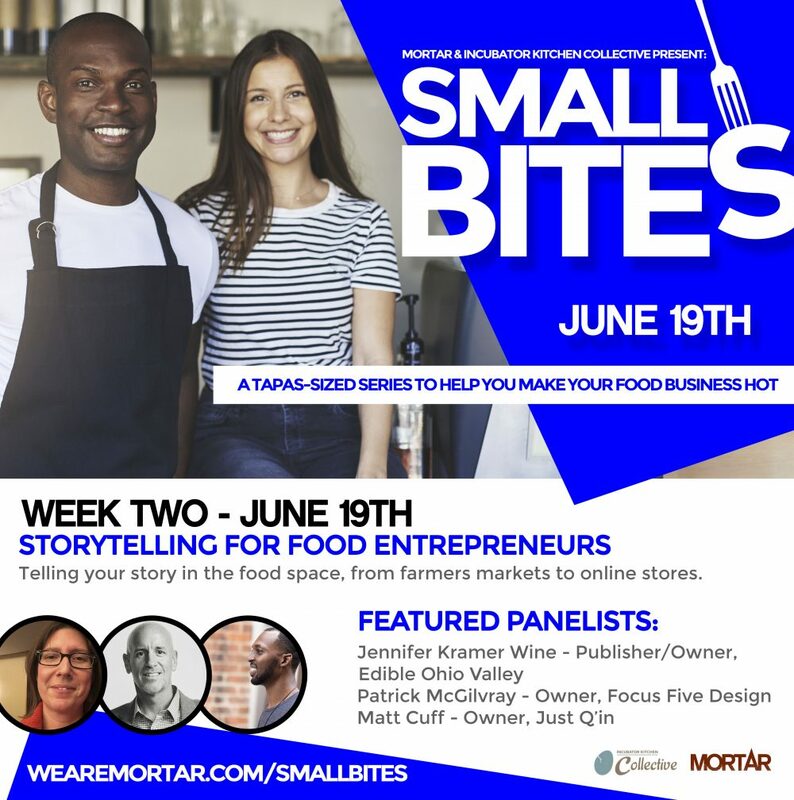 MORTAR & Incubator Kitchen Collective proudly present SMALL BITES, a series of workshops for food entrepreneurs. 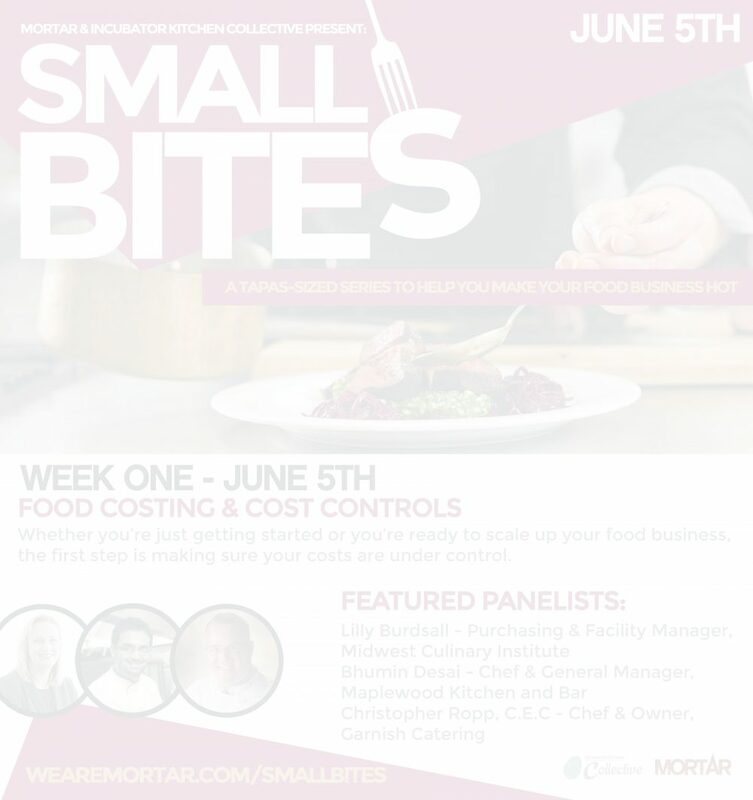 Our six sessions will focus on subjects that are important to every food business. 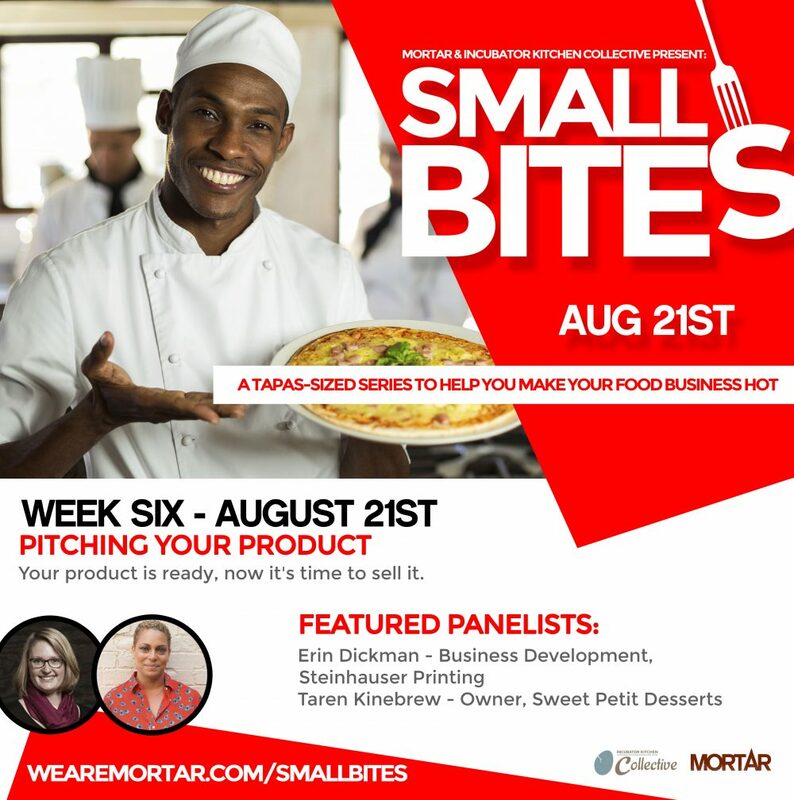 Each session will feature a panel discussion with leaders from our industry. 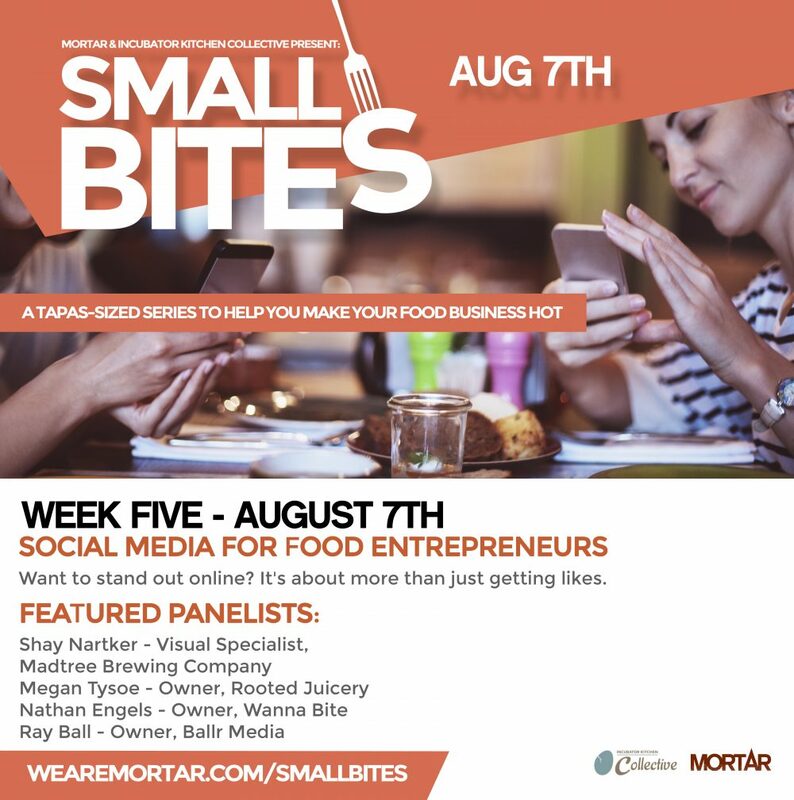 CLICK THE FLYER FOR EACH SESSION YOU WANT TO ATTEND TO REGISTER.